Walk into Fika the other night and you minght imagine yourself in the depths of a Scandinavian forest. 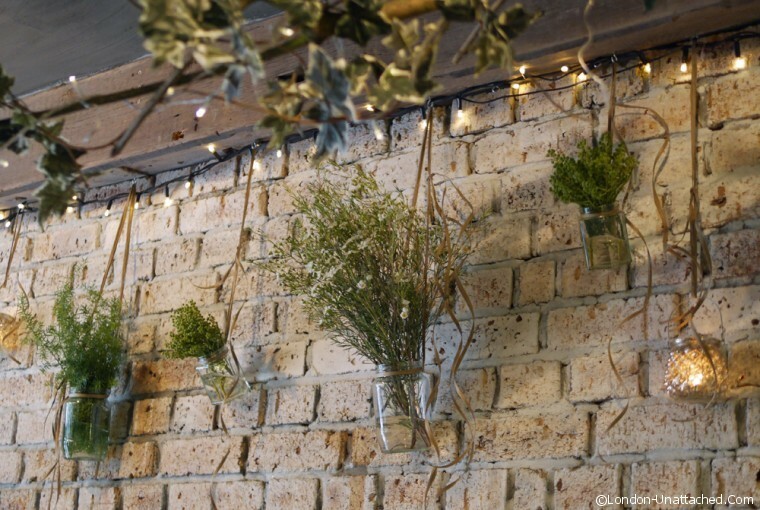 The walls garlanded with ivy, mossy stumps on the tables holding candles, even the staff were wearing floral crowns. All in aid of something that one of the other guests prosaically described as ‘sea cockroaches’ – that’s crayfish to you and me. 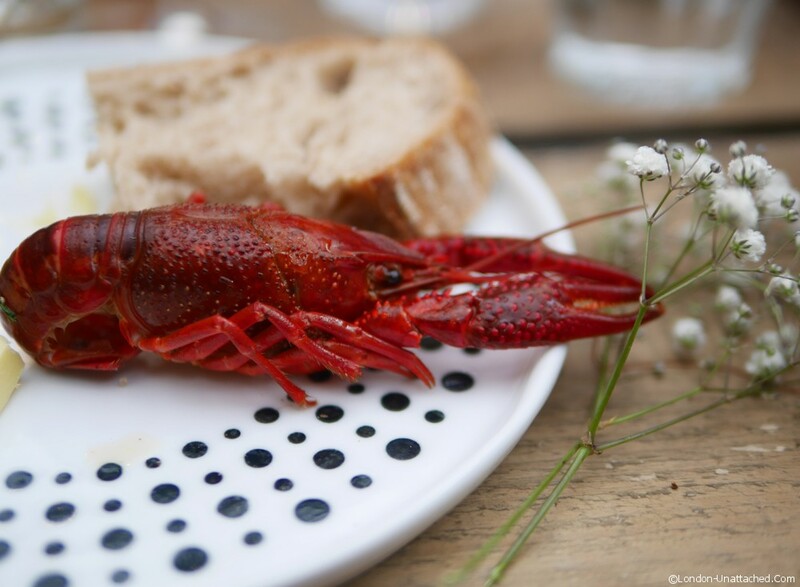 The tradition of the crayfish festival in Sweden originates from the early 1900s, when fishing for crayfish was restricted to a few months in the summer. 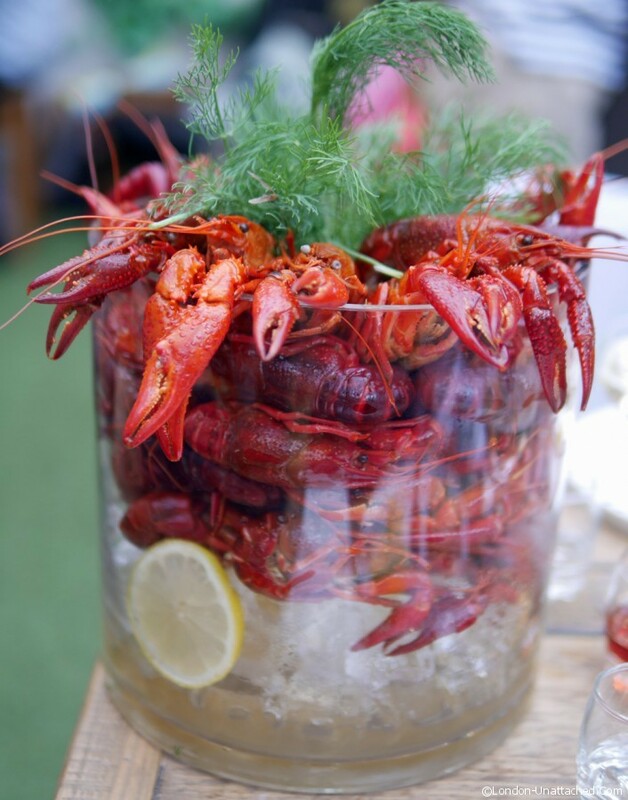 Although now the restrictions have been lifted, thanks to sustainable fishing practises, the tradition continues and in Swedish homes throughout August you’ll find people gathering to enjoy buckets of crayfish, snaps and the odd drinking song or three. 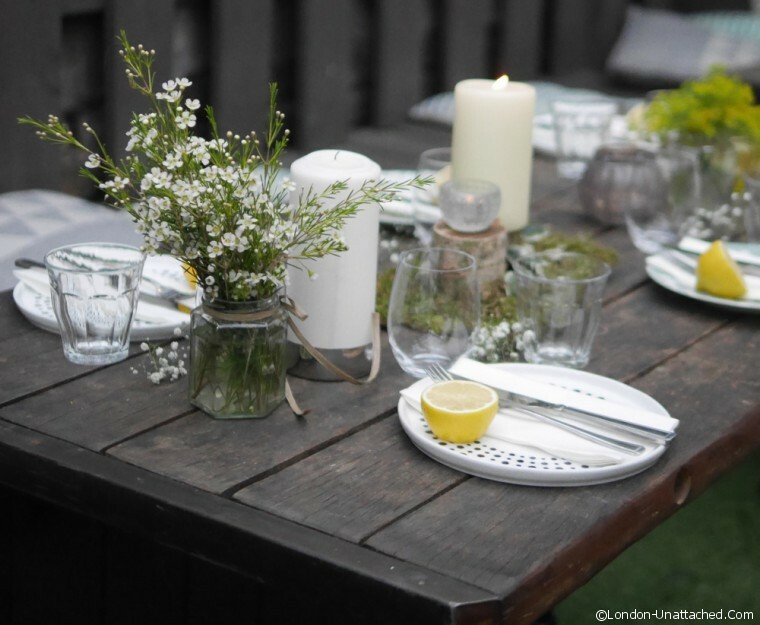 It was the media launch for Fika’s own crayfish parties which will run from July 30th to August 16th; a preview of what you can expect if you book to go to the pop-up. We started the evening off with glasses of prosecco. For me, at least, it was a good idea to drink plenty of water and prosecco. 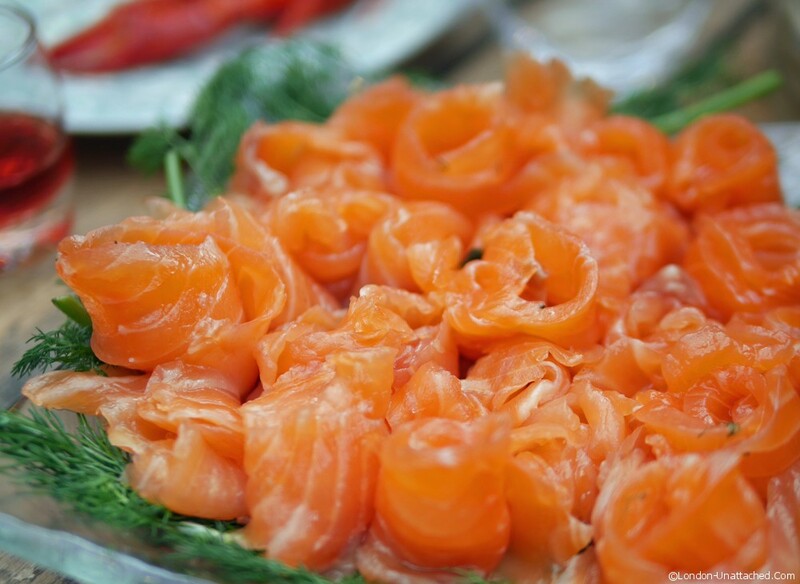 The snaps, made in house at Fika, is always delicious. I particularly liked the ligonberry but there are plenty of other options, including elderflower (light, fresh and floral) and a rather sultry gingerbread. 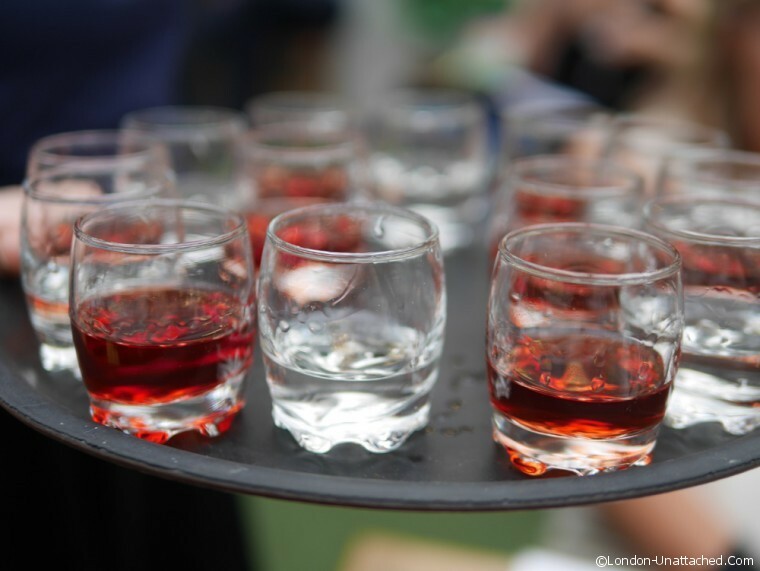 It can be hard to remember that you are drinking vodka shots, at least until the next day! Little pots of creamy chicken liver pate and plates full of Fika’s own home cured gravadlax. Sharing tables on the open air terrace (it does have a roof), were packed with happy diners enjoying the messy affair. It turned out that shelling a crayfish is something of an art – get it wrong and you’ll end up covered in crayfish juice. Though of course that might just have been the effect of the snaps. We will, we will, eat you! We will, we will, drink you! 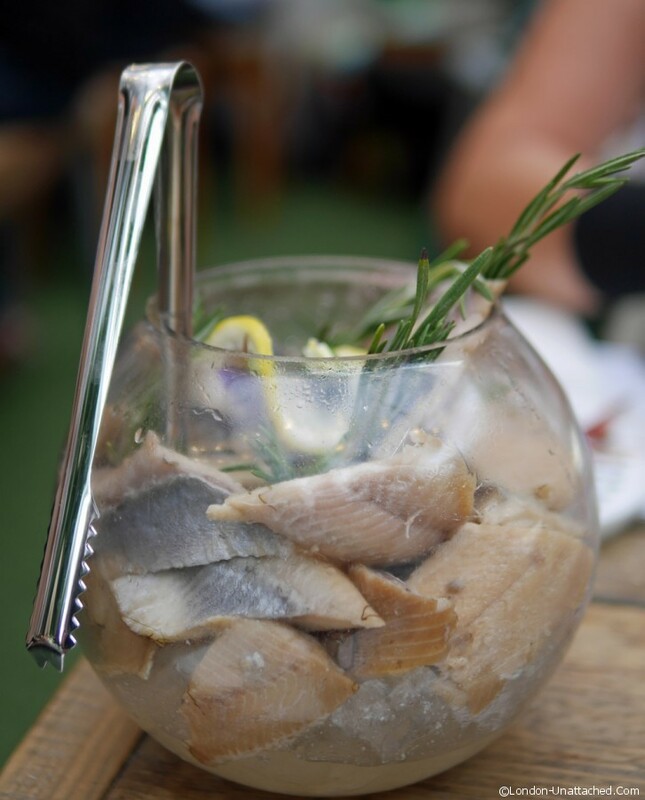 The Fika Crayfish Pop-Up will run from July 30th to August 16th 2015. You can book by mailing popup@fikalondon.com or through Design my Night. 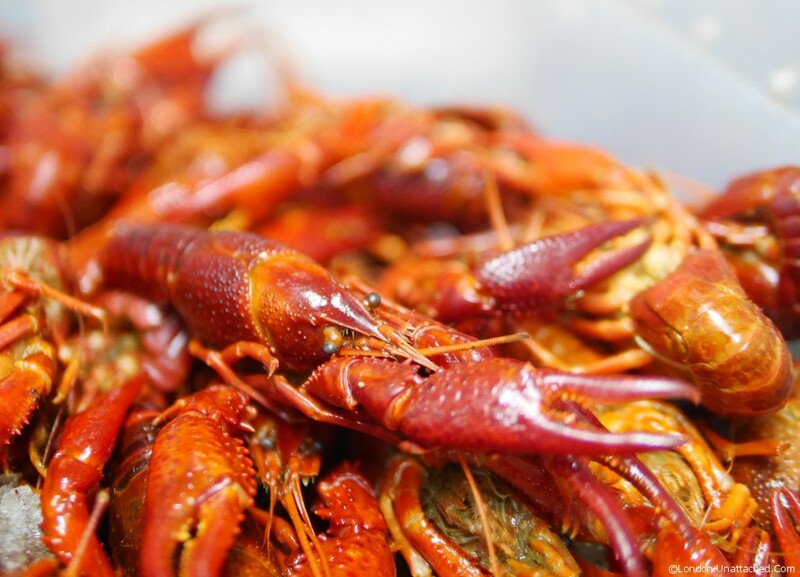 The unlimited menu including all-you-can-eat crayfish costs £35 (alcohol not included). Outside of the crayfish festival they have a good veggie menu too, I think you’d like it…though perhaps not while all those sea cockroaches are climbing around! It sounds like such a fun event! I would love to partake in something like that. I don’t recall ever having crayfish .. but then again.. I don’t get out to restos with that on the menu often either!